****SUBARU OUTBACK XT LIMITED, LOADED, SOUTHERN VEHICLE, NO RUST, NO ACCIDENTS, EXCELLENT SERVICE HISTORY, CLEAN CARFAX, CURRENT EMISSIONS. 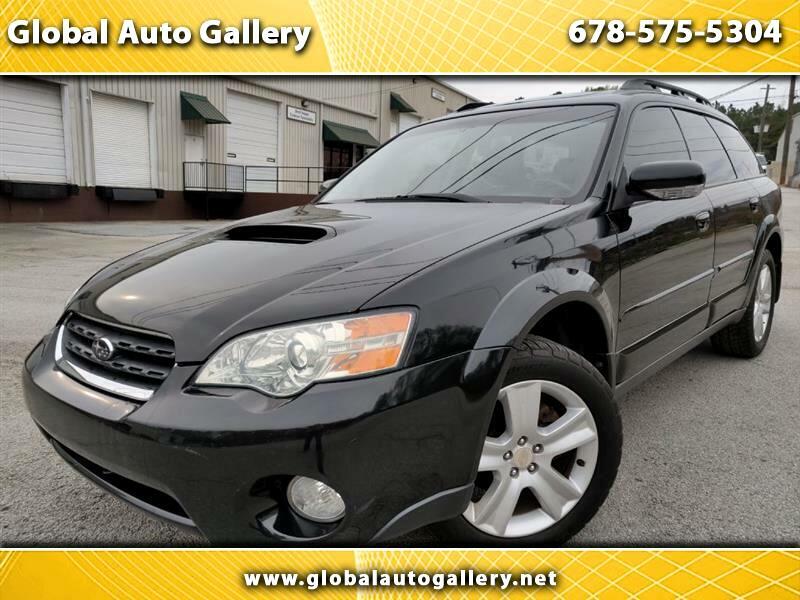 NO HAGGLE CASH SALE PRICE**** Available at Global Auto Gallery is this low mileage 2006 Toyota Subaru Ouback XT that has been maintained very well. All maintenance records are available. It comes loaded with features, power/heated leather seats, premium audion, extra large moon roof, and more. The Engine is silky smooth, and strong. Tires are good, matching all around, and brakes have plenty of life left on them as well. AC blow cold, and heat works just as well. All the features work on it as they should. It has excellent carfax, clean title, and current GA emissions. !!! !PLEASE CALL TO SETUP AN APPOINTMENT TO VIEW THE VEHICLE. ALL MAJOR CREDIT CARDS ACCEPTED, FINANCING AVAILABLE.!!!! !